Caribbean Lifestyle Media-We reported earlier that Death Before Dishonor will be closing out 10 years of legendary sound clash events. It is only right that audience would have a few surprises along the way. 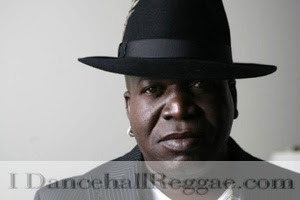 Irish and Chin recently added Barrington Levy's new sound system "Black Roses" to the line up. DJ Nerro, son of Barrington Levy will be leading the pack with the 8 month old sound system--originally called Mystic, later changed to Black Roses after Levy's song. DJ Nerro stated, "We are set to entertain thousands of die hard sound clash enthusiasts at the Olympics of sound system competitions, this is the perfect way to make our debut -- a great opportunity for a young sound." The sound includes members DJ Brushie and DJ KJ. You will be able to watch the show live at Irish & Chin on April 5, 2010 in Montego Bay.